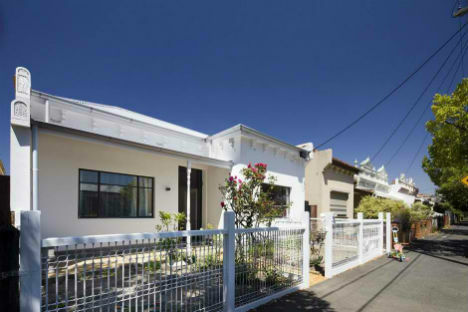 Why should houses be geometric? 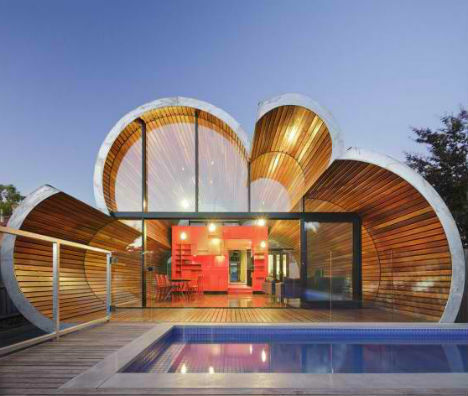 Flowing, curving organic shapes often have a warmer and more comforting feel, billowing around the homes’ inhabitants like a cozy blanket – or, in this case, clouds. 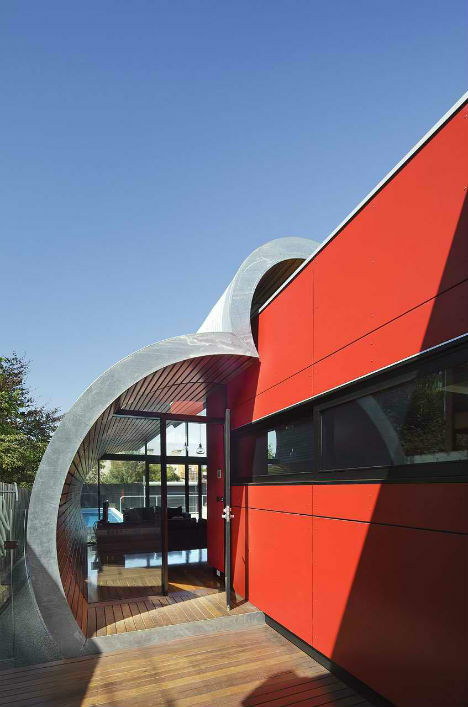 Architects McBride Charles Ryan added a stunning cloud-shaped addition to an Edwardian residence in Australia and literally gave it a silver lining. From the very ordinary front of the Cloud House, you’d never guess that by the time you walked halfway through it, you’d be entering an ultramodern addition with a glass wall, a highly unusual shape and a wooden lining reminiscent of a barrel. 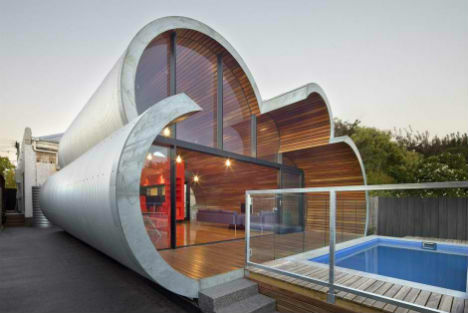 The cloud shape has four distinct curves that continue through the addition so that the only flat surface is the floor. 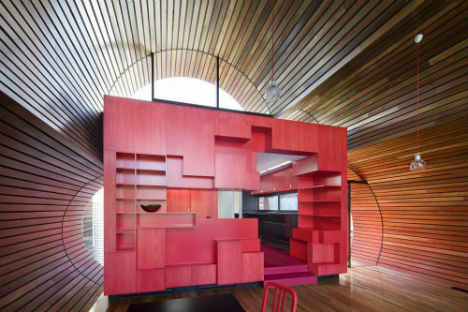 The transitional area between the original Edwardian section of the home and the cloud-shaped addition is a bright red, box-shaped kitchen. 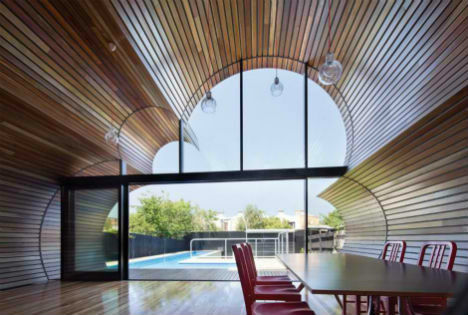 From this geometric interior space, family members are led to the dining area, which overlooks a sparkling blue pool. Together, the cloud shape and the pool successfully mimic the sky.